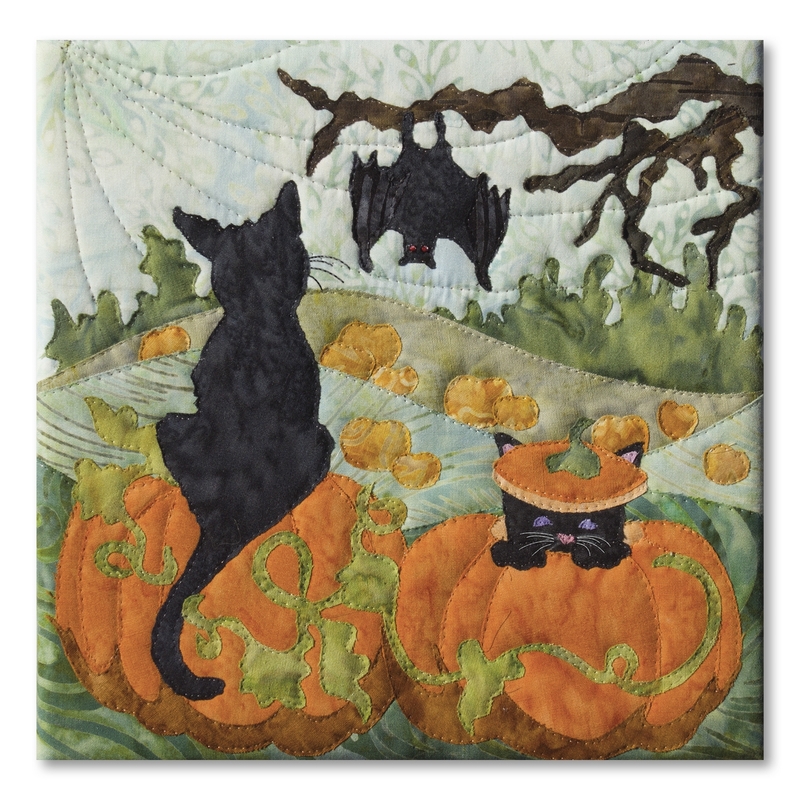 This pattern is for one of the blocks from McKenna Ryan's Halloweenies Halloween Quilt. Hocus and Pocus are black cats playing among the pumpkins. Great for a small pillow top or framed picture! Skill Level:Advanced Beginner - Experience with applique and free motion quilting recommended.